Posted on Dec 19, 2011 by Appleton Downtown Inc. The kids are full of holiday spirit in the Davinci Studio at the Building For Kids! 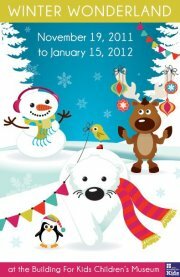 Winter Wonderland at The Building For Kids now thru January 15th.